Although these Crisps looked hard from the oil that was clearly visible, the initial crunches gave way fairly quickly to a thick and meaty crumble and crash before the mulchy stage just before the swallowing took over. As with most Hand Cooked (Kettle Cooked) Crisps, there were plenty of irregular shapes. There were also a significant amount of oil blisters. The colouring was an interesting orangish yellow, with a particularly dark hue. 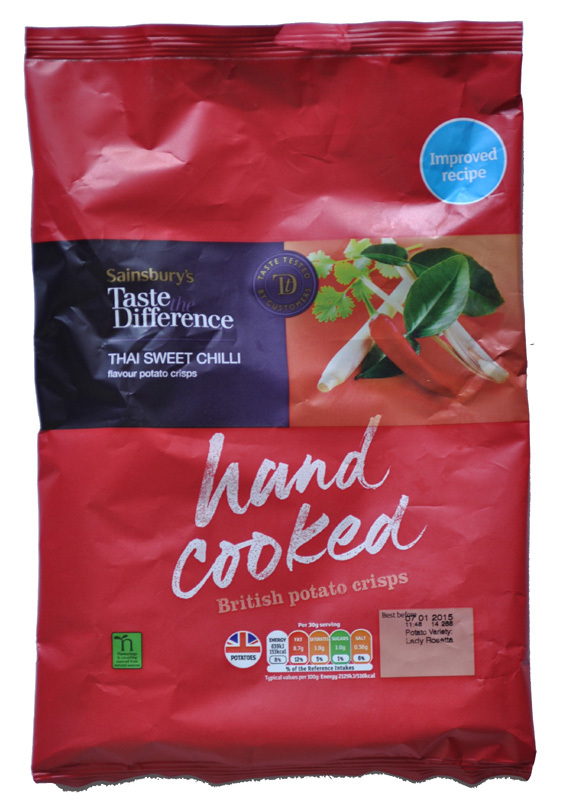 There was a lot of red and green seasoning spots on what looked very oil hardened Crisps. A Nose Plunge Test revealed a very feint Oriental spices sort of aroma. 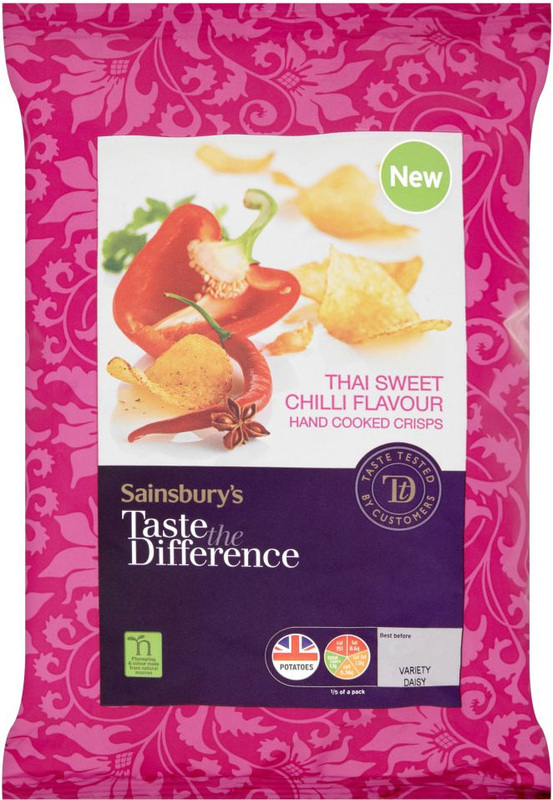 Many Crisps of this flavour over-balance towards the Sweet, rather than the Chilli. These were the opposite. There was an underlying sweetness, and they did taste like Thai Sweet Chilli dipping sauce, but there were certainly hotter and spicier than many of their peers.